Dogs are just like humans, they can adapt anything from us like good manners or anger from their owners. There is one dog from Pune, who has adapted singing from local temple devotees, who chant bhajans (kirtan) during Navratri. A hilarious cute video of a dog singing bhajans is doing rounds on the internet. This dog worships in his own style. 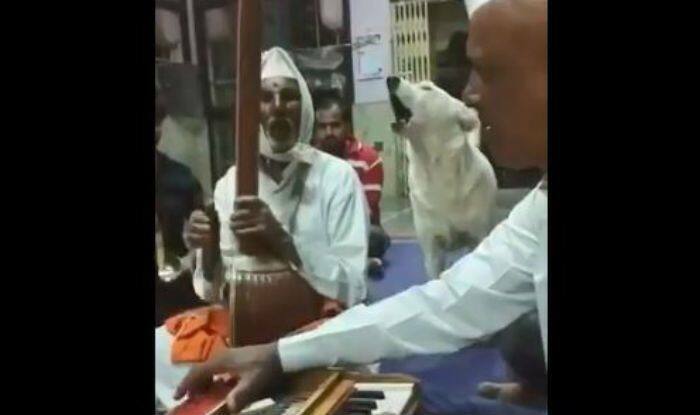 A Twitter user by the name @sudhmadate recently took to the internet to post a video of a dog attending kirtan at a temple and singing along with the singers. He wrote, “This devout little dog belongs to my friend’s factory. Every Thursday evening, without fail, he walks over to the temple next door and joins the kirtan. Then he has his share of prasad and trots back home. Every single Thursday! :)”.